LED tealights make great event and wedding decorations. Our range of flameless battery operated tealights are high quality and have a soft glow that will look great in your home. Arrangements and centrepieces can be embellished with strings of lights for a beautifully elegant look. Our range of wholesale LED tealights come singularly or in packs of up to ten. They are circular in shape and some even change colours. 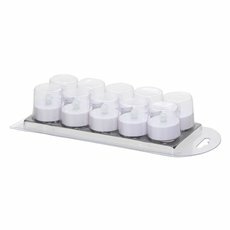 LED tealights are a great choice for your home and are cheap event supplies, due to their price, versatility and safety. 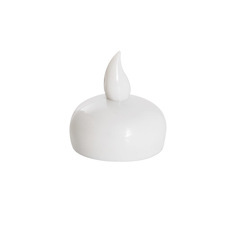 They will make your décor look gorgeous and they are a stunning and safe alternative to tealight candles. Looking for more flameless forms of light? check out our LED range - Koch stock LED fairy lights, decorations and even submersible and floating LEDs to light up a watered surface. Our LED tealights are carefully made from the best materials and look great when paired with our tea light candle holders. We deliver across the country, so you can buy our battery tea lights online, no matter where you live in Australia.